What happens to shared benefits? What happens to future financial agreements? The list may seem never-ending and the manner in which one resolves these issues directly affects the family’s adjustment to the separation. If there are children, the issues may feel overpowering. How will you handle guardianship, holidays, living expenses, vacations? How will you maintain communication and work together in decisions regarding the children after the divorce? The traditional process of litigation to reach a divorce settlement can be expensive, and frequently leaves both sides feeling emotionally hurt and hostile, thus making cooperation and interactions more complex, both pre and post divorce. Divorce mediation establishes an opportunity for couples to work out the terms of their divorce quicker, with less expense, and often with less opposition with fewer lasting negative consequences. Mediation encourages couples to take power over the end results by making their own decisions. Our mediators are trained to help bring conflicting people together with valuable productive conversations and are on hand to help you discover and make decisions about matters meaningful to you. Mediation is a productive and non-adversarial process for resolving disputes. 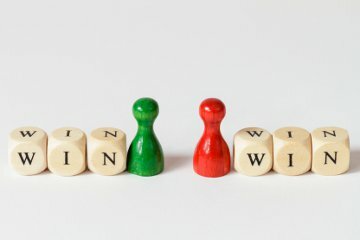 Mediation involves option exploration and decision making necessary to reach equitable agreements in light of each participant’s values, resources and needs. A mediator is a trained professional who helps people with differences have productive conversations. A mediator does not make decisions for the parties. Rather, a mediator provides an environment for parties to negotiate effectively. A mediator assists both parties to define the issues, recognize interests, facilitate the generation of options and write an agreement. Divorce mediation creates an opportunity for couples to work out the terms of their divorce in less time, with less cost, and often with less hostility and fewer lasting negative effects. Unlike the traditional court processes, mediation encourages couples to take control over the outcome by making their own decisions. Our professional mediators will not make decisions for you. They are trained to help people with differences have productive conversations and will help you to identify and discuss issues important to you. The benefits of divorce mediation include the participants’ control over important decisions affecting their lives and futures (and those of their children); the discovery of unique and appropriate ways to resolve areas of disagreement and interpersonal conflict; a greater likelihood that the terms of the agreement reached will be honored in the future; a reduction of hostility between the participants; less trauma for the children involved; and growth in the ability of each participant to assert him or herself and to understand, articulate, and provide for his or her own needs. What if you are not sure whether you want to get a divorce? The framework of Divorce Mediation can also be used to serve couples who have concerns about whether to stay together or not. There might be issues that are difficult to speak about, such as finances, parenting or lifestyle choices. Trained mediators can assist such couples in identifying issues and brainstorming options, which address each person’s concerns and interests. A free half-hour session is provided in order to explain mediation and address questions and concerns about the process. If both people agree to go forward with mediation, an “agreement to participate in mediation” contract will be signed by the parties and the mediators. The session would then proceed with everyone identifying an agenda. Issues are identified and introduced for later discussion. If the parties wish, the mediators can draft a “memorandum of understanding” reflecting any agreements come to through mediation. Does the mediator try to figure out what went wrong with the marriage or help the couple find reasons to stay together? No. The mediator does not encourage or discourage a couple’s decision to separate or divorce. Mediation is not counseling or therapy and the mediator will not provide such services. In many cases, participants find the mediation a healing and strengthening process. Can a husband and wife reach a mediated agreement if either one or both parties is angry? Yes. When a couple decides to separate or divorce, the events of the past and the fear of the future can affect the emotions of one or both parties. Although these emotions are very real to one or both parties, the mediator will assist parties to better understand and work through their emotions while still focusing on reaching a mutually beneficial solution. The mediator is there to support both parties as they work to decide on the important issues facing each individual. Can either party stop the mediation process and/or consult an attorney? Yes. In addition, both parties are encouraged to consult separate attorneys before, during and after the process. Before any agreement is finalized, both parties are encouraged to review the written agreement with separate counsel. In addition, divorce mediation is 100% voluntary. Either one or both of the parties can request the process to end at any time. If a couple pursues the traditional divorce process (each with separate attorneys) and they reach an impasse on one or two issues, can a mediator assist with the resolution of these issues? Yes. Mediation can be used for an entire divorce agreement or a portion thereof. For example, if a couple needs mediation services to settle a visitation issue only, the mediator can be of assistance. The same holds true for any issue appearing in the divorce agreement. What can each party expect to pay for divorce mediation services? Portsmouth Mediation’s divorce mediation services are billed at a rate of $175 per hour. Most divorce mediations take between 6 and 14 hours, depending on the circumstances. In addition to the cost of the mediation, parties should plan on spending at least one hour with separate attorneys to review any agreement before signing. The Matrimonial Settlement Agreement you prepared is wonderful. Thank you for getting it to us so quickly. I really appreciate the mediation you have done for us through the divorce process. My attorney said she was impressed by the agreement's level of detail. Carol S.